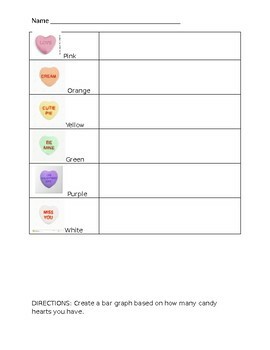 Use candy hearts to complete this graphing activity! 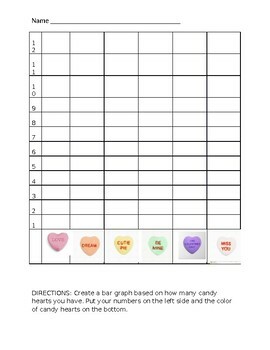 Includes a sorting sheet, a tallying sheet, a bar graph with pictures and numbers and a bar graph with no pictures or numbers for higher students, and two sets of data analysis questions. One has pictures for nonreaders and simple questions, the other has no pictures and the questions include making differences and sums.